BRIGHTON, Mich.- It's no secret that green cars have gone mainstream. In fact, you may be familiar with the recent additions of green and hybrid models to Ford Motor Company's vehicle line up. These new models offer incredible fuel economy, and two Ford vehicles made Kelley Blue Book's 10 Best Green Cars based on a few other factors as well! Kelley Blue Book has just released their list of the 10 Best Green Cars which they have evaluated based on multiple points including environmental friendliness and how the vehicle provides commentary and mileage information. 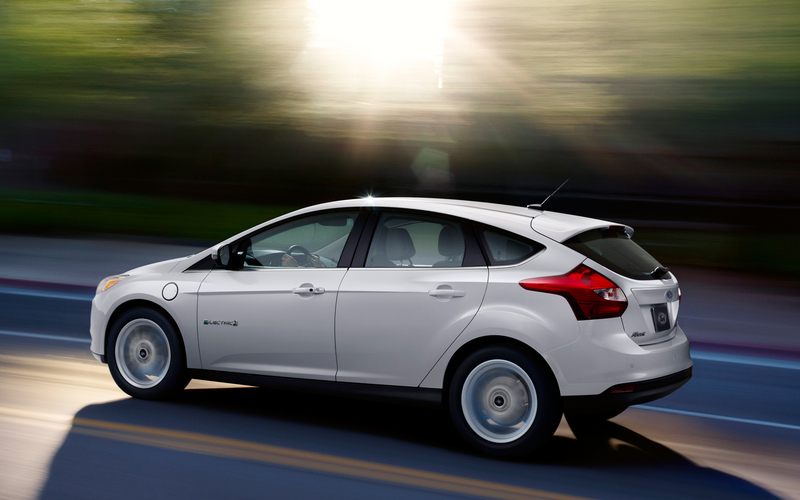 Both the Ford Focus Electric and Ford C-Max Energi made the cut as two of the best green cars on the market. Both Ford green vehicles feature SmartGauge with EcoGuide which helps the driver to optimize hybrid performance and provides a more connected and fuel efficient driving experience. A plus for both Ford vehicles was that Kelley Blue Book noted they were both fun to drive. If you'd like to learn more about Ford's fuel efficient vehicles like the Ford Focus Electric or Ford C-Max Energi, just stop by Brighton Ford. We'd be happy to help you find a vehicle that meets your needs while also remaining fuel efficient. Plus, we can help you save a little green too with our Ford Focus Rebates and Ford C-Max Rebates. Come check out our Holly Area New Ford Cars today! Brighton Ford is located at 8240 Grand River Ave. just north of I-96 in Brighton. We are a family owned and operated business that strives for customer satisfaction. For more information on Brighton Ford visit BrightonFord.com or give us a call at (800) 836-8206. Ford Motor Company Is Hiring!